How black magic disturb life? How black magic disturb life, which symptoms shows that there is an impact of negativity or evil energies. 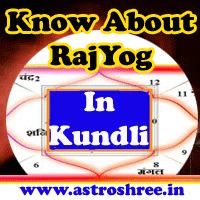 Read about Perfect solutions of kala jadu/vodoo. Black Magic is the use of supernatural powers to disturb the life of any person, place of thing for materialistic benefits. Black magic has the power to disturb the physical power as well as mental power of any person. There are several names of black magic like as kala jadu, vodoo magic, soul magic etc. Black magic has the power to interrupt anyone’s life without his or her permission. Black magic equally harm the user and the victim. This is use of energies by using special spells and things in special mahurat or time. Black magic is done generally by Negative minded Tantriks who misguides people for some materialistic benefits. Tantriks are able to compel supernatural forces to perform a particular task any how. Use of black magic is not at all good for anyone and so must be prohibited. In Kala jadu or black magic use of ghosts and souls are being done by practitioners. Black magic is the root cause of many physical and mental problems in life but lack of knowledge leads people to do so and they regret after sometime. Many things are used in black magic to harm or dominate anyone like as cloth of person, teeth of person, soil of shoes or sleeper, hair of person, photo of person etc. Generally it is seen that black magician do this to show there power or to gain money, property or to destroy enemies. Read about काला जादू कैसे जीवन को ख़राब करता है ? Before adopting any remedies it is good to take advise from experienced astrologer who can guide you better, properly and completely. For knowledge here are some easy home remedies of black magic. Avoid eating non veg for sometime until the problem exist. Avoid using liquer or drugs of any kind to avoid impact of kala jadu. Start visiting Hanumanji temple at the time of Arti and let the sprinkled water come to you after arti. Do take tulsi leaves and recite mahamrityunjay mantra 108 times and then eat the tulsi leaves. Do this daily for next 40 days. Put some tulsi leaves in bathing water daily. Do sprinkle gaumutra and ganga jal daily twice at home and affected person. Contact Astrologer For Protection Kawach and Special Pooja To break Black magic. Learn about Utara of Black Magic. If anyone seriously have faith on god and genuine astrologer then no doubt the impact will go away gradually and person is able to live normal life again.